The project was made to help auditing rooms in a faster more efficient way using technology. The inspiration of our team is to better our world. Environmentally in the sense that we are cutting down on the usage of paper, and use technology to audit rooms to cut down on electrical expenses. 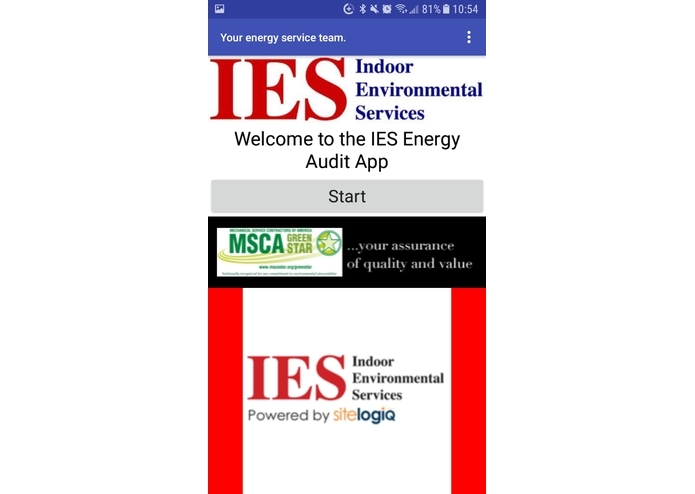 The company IES, Indoor Environmental Services also asked us to make an app to audit rooms more easily. 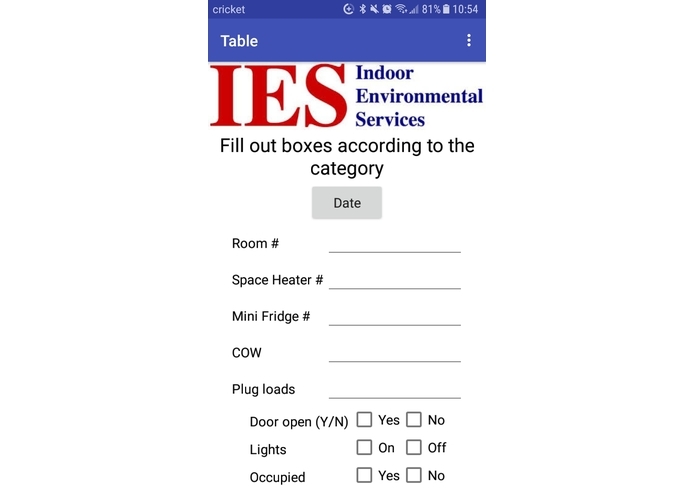 Our app is the new way to use technology to more efficiently audit rooms and cut down on paper, to make sure that they are using energy more efficiently and it shows the ways that they can cut down energy expenses. 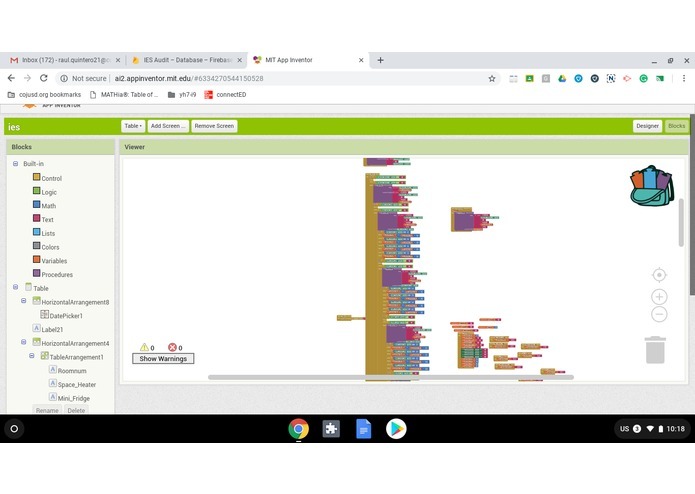 We used MIT app inventor and we also connected Firebase, an online database run by google. It is a public so that all the information gathered on the app can be seen there. (Note only owners of the account can change information) Allowing it to be used virtually anywhere by anyone with an electronic device. Some challenges that we ran into while creating the app was transferring the specific data from the survey screen to the review screen. Another challenge we had was the list picker, so that each selection of the list picker had corresponding data. Another challenge was trying to transfer multiple pictures throughout the screens. Our final challenge was trying to efficiently make the app as user-friendly as possible for new employees learning how to audit rooms without confusion. One accomplishment that we're proud of is winning first locally. Another accomplishment is making the app look aesthetically pleasing. 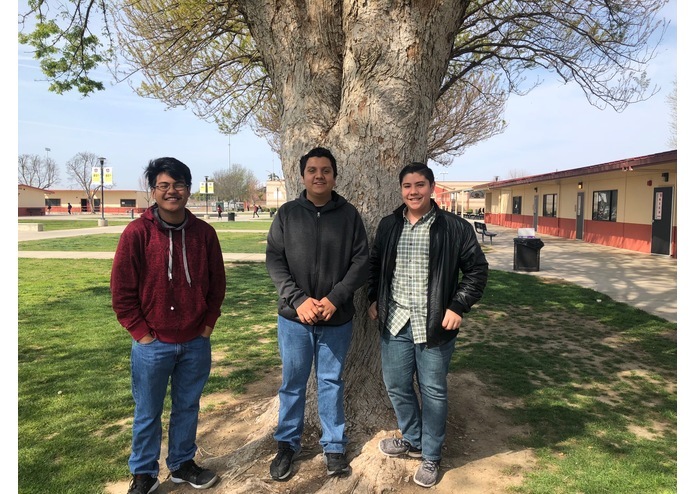 Another accomplishment is making an app that will better the environment by showing how much energy is being used and having the opportunity to lower the kilowatts per hour. We learned how to cooperate as a team even when times were tough. This truly strengthened our bond as a whole that will last a life time. Of course coding is a major part of what was learned but in all honesty we learned how to be activists that will lead to the betterment of our beloved Earth. This will pave the path for others like us to follow. The next step for our app is to try and improve it to make it more user-friendly and try to make it bug-free by constantly testing it to make sure there are as little mistakes or problems with it as possible.